+ there has to be more to life than working an unsatisfying job for 40 years? + you don't belong in the 9-5 world? + you lack clarity with your passions and purpose? + you're living for your weekends and 2 week vaca time? + you want to throw up every Sunday at the thought of going back to work Monday? + you hate your job? + you're not living up to your potential? + there's an internal void that you can't fill no matter how many vintage bottles of wine, or new shoes you buy? + life is on someone else's terms (your parents/boss/boyfriend)? + your life has been stationary for most of your 20s? + your business is fun and doesn't even feel like "work"
+ your bank account no longer shows a negative sign, but has a lot of 0's and a lot of commas! I'm Kelly, I AM A BUSINESS + LIFESTYLE COACH FOR MILLENNIAL WOMEN WHO ARE READY TO BUILD A PASSION-FILLED AND PROFITABLE ONLINE BUSINESS, AND CREATE THEIR FREEDOM. Before any of this entrepreneurial stuff happened, I was spending the majority of my time at a 9-5 job. The job started out as a summer job while I was in University, and I spent another 1-2 years there after graduating, trying to figure out WTF to do with my life (can you relate?). During this transitional year of my life, trying to figure out what in the world I was going to do, I decided to apply to nursing school. My degree is in health sciences, so this just seemed to make sense. It didn't take many volunteer shifts for me to realize that nursing wasn't exactly what I played it out to be. Thankfully, just a few months before my acceptance letters came in, I was introduced to an entrepreneurial opportunity that I said HELL YES to. I declined all of my nursing acceptance offers, and never look back. This opportunity was literally what I felt like I had been missing. It gave me the freedom to design my life and live it the way I wanted to. A few years later at 26, I decided to take my entrepreneurial journey a step further and launch my own brand + coaching business. Helping other millennial babes live their dream freedom lifestyle, by creating a passion-filled and profitable online business is truly what lights me up every single day. Since launching my coaching business one year ago, I've traveled more than I ever have before, launched my dream brand + website, manifested 5 figure months and a $10K week, attracted my dream clients out of thin-air (or what feels like it), quit my part-time job (hello, full-time entrepreneurship! ), invested over $15K in myself + business, and have experienced true freedom. Although nothing has ever felt as right in my life as entrepreneurship does, it hasn't always been an easy journey. I faced a lot of criticism and negative opinions from friends and family, often doubted myself, and shed many tears along the way, but I would never change any of it. It's grown me into the person I am, and created the life + freedom I have today. If I can create my freedom + live my dream life, you absolutely can too. It's time you decided the same thing. EVERYONE'S EXPERIENCE IS A LITTLE DIFFERENT, AND IS 100% CUSTOMIZED TO YOUR GOALS. HOWEVER, HERE'S AN EXAMPLE OF WHAT WE CAN COVER IN OUR 90 DAYS. so you're fully booked with clients! and looking at how far you've come! + Unlimited Email OR Voxer support (Mon-Fri during biz hours) with me, so I can answer all of your questions and continue to support you between calls. This keeps you moving in the direction of your goals! Book your free call here, and we will get to know each other a little more! We will talk about what's going on in your life, where you're needing clarity and if we're a good fit for each other. You will make an incredible investment in yourself and be on the path to finally living that lifestyle you dream of!! We will book our first call together and you will receive your welcome package. During our first call we will get crystal clear on your desired outcomes during our time together, and we will come up with a plan that feels great to get you there. This 90 day program consists of 9, 1 hour, one on one coaching calls. For 3 months you have 3 calls a month, and 1 implementation week. The implementation weeks are to help you get caught up on your to-do lists, and get sh*t done! You will have tasks to complete before each call to keep us moving forward in the direction of your goals. Between calls you will have unlimited email OR voxer support with me for questions, support etc. We will OFFICIALLY launch your business you worked so hard for!! SO exciting! Before we end our time together (*tear*) we will come up with a plan you feel great about to continue your well deserved success, and keep you on the right track. CONGRATS! You are officially the biggest freedom babe. + proof that you can have paying clients in less than 3 months! Kelly helped turn my idea into a full blown life coaching business. It wasn't until I met with her that I knew I was already coaching people. She brought awareness to what I was doing naturally and helped me turn it into a business that I love! Kelly's unique approach helped me land paying clients before my website was launched! Kelly always made me feel supported and encouraged my ideas. She kept me grounded and on track with my goals. I couldn't have launched my business so quickly without her guidance! READY TO BECOME A FREEDOM BABE, BUT STILL HAVE SOME QUESTIONS? 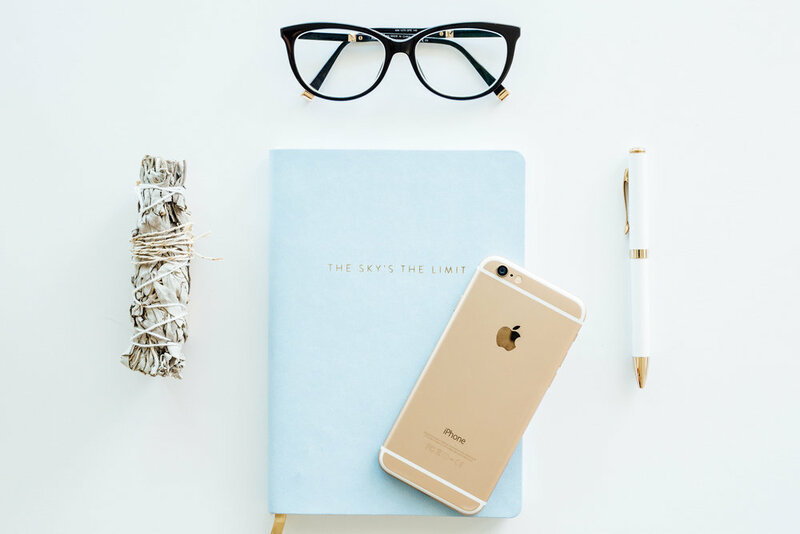 Book your FREE Become A Freedom Babe Strategy Session today and we can chat about what's going on in your life, and what's holding you back from leaving the 9-5 world. If you've made it this far, I know you're ready to become a freedom babe, and I think you know it too. You likely just need that loving push, or extra support from someone who's already done it, to help you take that next step. I know it can be slightly terrifying take action toward launching your online business, and leaving your 9-5 forever. But let's be honest, wouldn't it be a nightmare to stay where you are, feeling constantly unfulfilled, drained, and stuck? It's time to do something different. We can't go through life doing the same things over and over, and expect different results. Break through your limiting beliefs and create the freedom babe lifestyle you know you're meant for!